This study was carried out to determine the fish species in Asartape Dam Lake constructed upon İlhan Stream a branch of Sakarya River between March 2015-February 2016. Fish species were caught from three different stations representing the composition of the whole lake. The fish were captured by the use of trammel nets with different mesh size in the lake. An electro shocker was employed in the streams draining to the lake. The fish specimens were brought to the laboratory in 4%formaldehyde solution for the metric and meristic measurements. A total of fourteen species belonging to five families were caught in the lake: Cyprinidae (Alburnus escherichii, Alburnoides kosswigi, Capoeta baliki, Carassius gibelio, Chondrostoma angorense, Cyprinus carpio, Tinca tinca, Vimba vimba, Squalius pursakensis, Pseudorasbora parva) one species each belonging to Nemacheilidae (Oxynoemacheilus angorae), Cobitidae (Cobitis simplicispina), Esocidae (Esox lucius) and Percidae (Perca fluviatilis). It would be very beneficial to conduct bio-ecological follow up studies on the possible impacts of invasive species Carassius gibelio and Pseudorasbora parva, on the future of other fish populations. Bu çalışma, Sakarya Nehri’nin bir kolu olan İlhan Çayı üzerinde bulunan Asartepe Baraj Gölü’ndeki balık türlerinin tespiti amacıyla gerçekleştirilmiştir. Çalışma Mart 2015-Şubat 2016 tarihleri arasında yürütülmüştür. Balık örnekleri gölü temsil eden üç farklı istasyondan yakalanmıştır. Avlamalarda çeşitli göz açıklığına sahip ağlar ile göle dökülen akarsularda ise elektroşoker kullanılmıştır. Avlanan balık örnekleri %4’lük formaldehit içinde laboratuvara getirilerek metrik ve meristik özellikleri belirlenmiştir. Gölde beş familyaya ait on dört tür yaşamaktadır: Cyprinidae (Alburnoides kosswigi, Alburnus escherichii, Capoeta baliki, Carassius gibelio, Chondrostoma angorense, Cyprinus carpio, Pseudorasbora parva, Squalius pursakensis, Tinca tinca, Vimba vimba,), Cobitidae (Cobitis simplicispina), Esocidae (Esox lucius), Nemacheilidae (Oxynoemacheilus angorae) ve Percidae (Perca fluviatilis). Göle giriş şekli belirlenemeyen istilacı türlerden Carassius gibelio ve Pseudorasbora parva’nın diğer türler üzerindeki olası etkileri ve popülasyonların geleceği için biyo-ekolojik izleme çalışmalarının yapılması yararlı olacaktır. Çiçek E, Birecikligil SS, Fricke R. 2015. Freshwater fishes of Turkey: A revised and updated annotated checklist. Biharean Biologist. 9(2): 141-157. Erkakan F, Atalay-Ekmekçi FG, Nalbant TT. 1999. A review of the genus Cobitis in Turkey (Pisces: Ostariophysi: Cobitidae). Hydrobiologia. 403: 13-26. Fricke R, Bilecenoğlu M, Sarı HM. 2007. Annotated checklist of fish and lamprey species (Gnathostomata and Petromyzontomorphi) of Turkey, including a Red List of threatened and declining species. Stuttgarter Beiträge zur Naturkunde. 706, 1-169. Geldiay R, Balık S. 2009. Türkiye tatlısu balıkları. V. Baskı. İzmir: Ege Üniversitesi Su Ürünleri Fakültesi Yayınları 644 s.
Kottelat M, Freyhof J. 2007. Handbook of European freshwater fishes. Berlin: Publications Kottelat, Cornol and Freyhof 646 pp. Kottelat M. 2001. Fishes of Laos. Sri Lanka: WHT Publications Ltd. 198 pp. Kuru, M. 1980. Türkiye tatlısu balıkları kataloğu. Ankara: Hacettepe Üniversitesi Fen Fakültesi Yayınları 73 pp. Kuru M, Yerli SV, Mangıt M, Ünlü S, Alp, A. 2014. Fish biodiversity in inland waters of Turkey. Journal of Academic Documents for Fisheries and Aquaculture. 1(3): 93-120. Küçük F, Turan D, Güçlü SS, Mutlu AG, Yılmaz Ç. 2017. Two new species of Chondrostoma Agassiz, 1832 (Teleostei: Cyprinidae) from the Ceyhan, Seyhan and Göksu rivers in the East Mediterranean Region of Turkey. 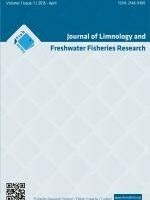 Turkish Journal of Fisheries and Aquatic Sciences. 17: 793-801. [in Turkish] doi: 10.4194/1303-2712-v17_4_15. Onaran MA, Özdemir N, Yılmaz F. 2006. The fish fauna of Eşen stream (Fethiye-Muğla). International Journal of Science and Technology. 1(1): 35-41. Özuluğ M. 1999. A taxonomic study on the fish in the basin of Büyükçekmece dam lake. Tr. J. of Zoology. 23: 439-451. Özuluğ M, Freyhof J. 2011. Revision of the genus Squalius in western and central Anatolia, with description of four new species (Teleostei: Cyprinidae).ICHTHYOL EXPLOR FRES . 22(2): 107-148. Özuluğ M, Altun Ö, Meriç N. 2005. On the fish fauna of lake İznik (Turkey). Turk J Zool. 29: 371-375. Polat N, Uğurlu S. 2011. Samsun ili tatlı su balık faunası. İlkadım Belediyesi Kültür ve Sosyal İşler Müdürlüğü Kültür Sanat Yayınları-2, 272s. Sarı HM, Balık SM, Ustaoğlu R, Ülhan A. 2006. Distribution and ecology of freshwater ıchthyofauna of the Biga peninsula, North-western Anatolia, Turkey. Turk J Zool. 30: 35-45. Smith MT, ve Smith LR. 2009. Elements of ecology. USA: Pearson Benjamin Cummings International Edition 649 pp. Turan D, Kottelat M, Ekmekci FG, Imamoglu HO. 2006. A revirew of Capoeta tinca, with descriptions of two new species from Turkey (Teleostei: cyprinidae). Rev Suisse de Zoologie. 113(2): 421-436. Vatandoust S, Abdoli A, Anvarifar H, Mousavi-Sabet H. 2014. Morphometric and meristic characteristics and morphological fario (Pisces: Salmonidae) along the southern Caspian Sea basin. Euro J Zool Res. 3(2): 56-65. Yılmaz E. 2016. Elekçi ırmağı (Fatsa/Ordu) balık faunası. SDU Journal of Science (E-Journal). 11(2): 1-12. [in Turkish].